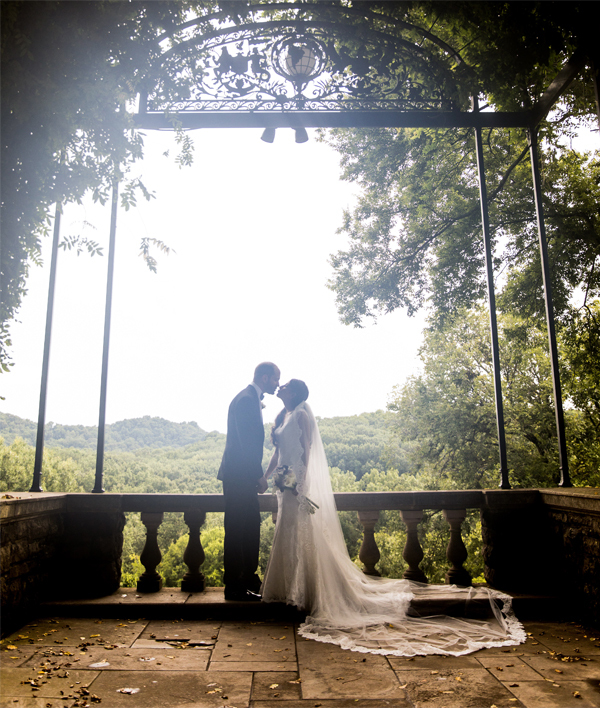 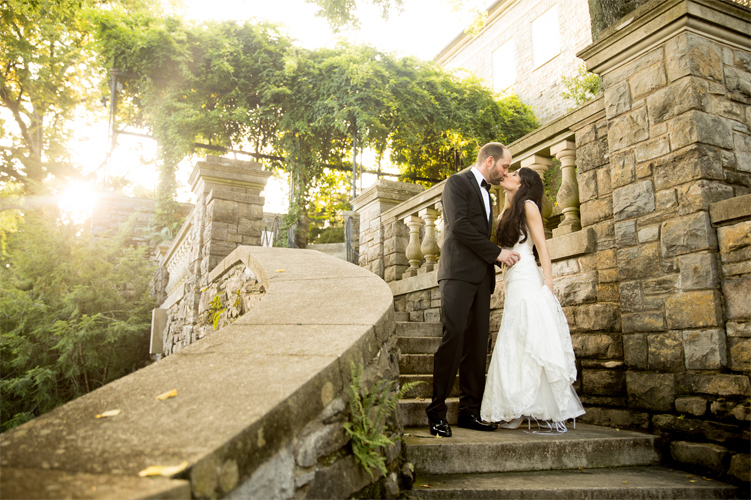 This gorgeous Classic Garden Chic styled shoot from our latest Middle Tennessee issue of Enchanted Brides features a warm, elegant stylistic concept brought to life by Bruce Pittman Inc. “I like to say that if styling this wedding was a song, it would be a mashup of Wedding Couture, Vera Wang and Southern Garden Party. 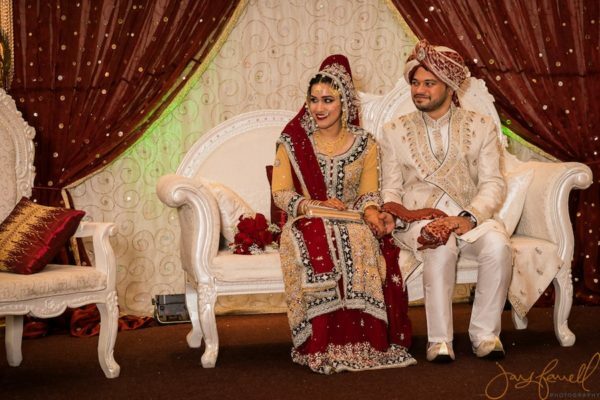 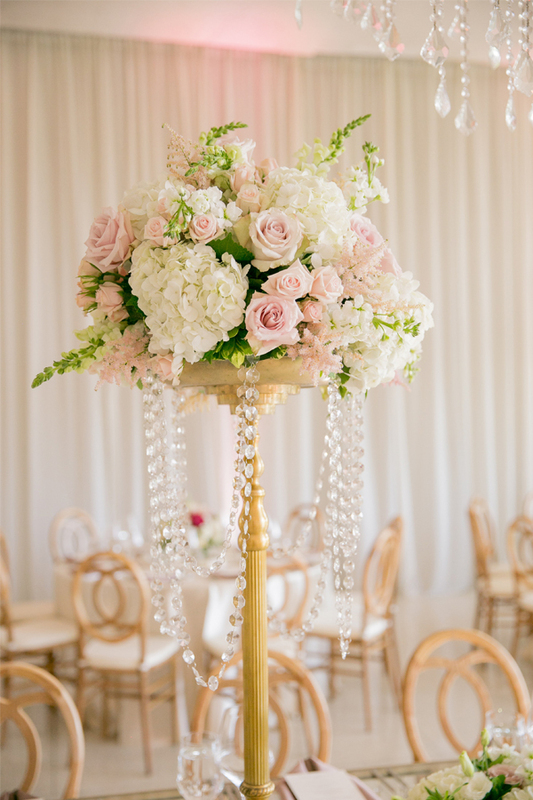 It was beautiful to see rich Persian tradition incorporated with classic wedding design to create the perfect balance for a fresh modern wedding theme.” The design vision incorporated classic, traditional elements with a focus on intense draping, elegant chandeliers, and crystal and gold accents. 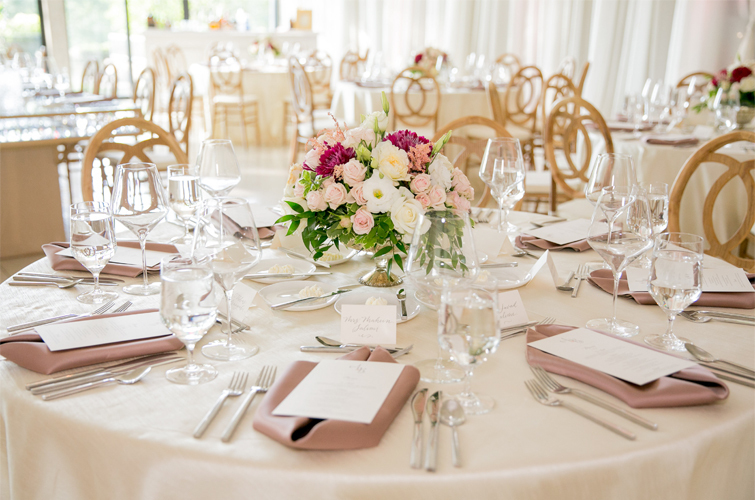 Color was brought in through the floral design, napkin color, and event lighting. 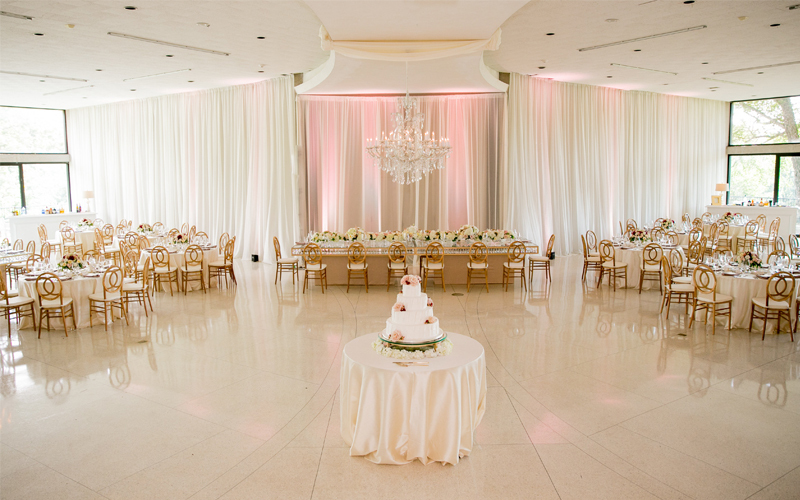 The draping, lighting, linens, and guest chairs brought in a sense of warmth for a romantic touch. 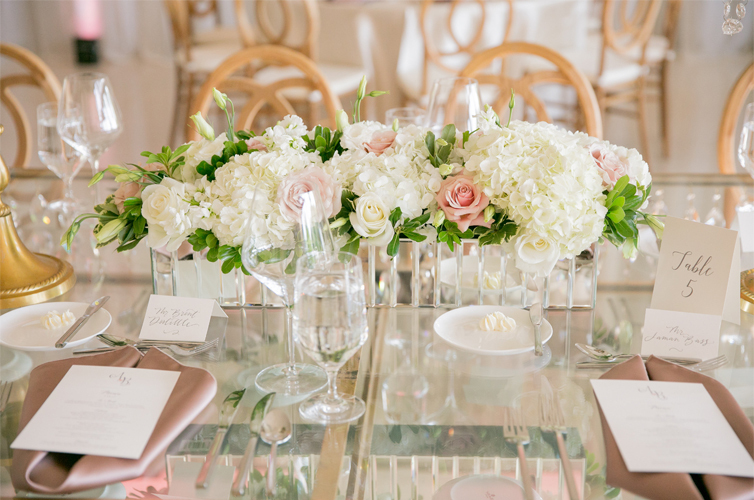 The floral designs featured white hydrangea, blush roses, ivory spray roses, white snapdragons, blush astilbe, white lisianthus,, white garden roses, ivory spray roses, burgundy centerpieces, and beautiful greenery. 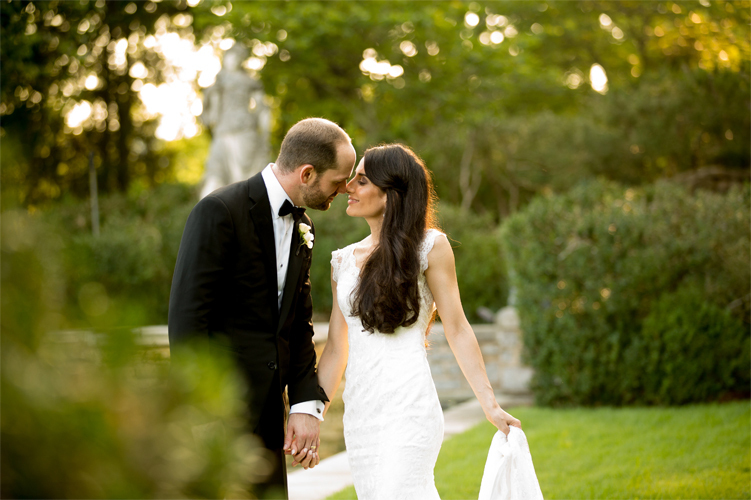 The gorgeous bridal bouquet included white calla lilies and blush and burgundy mini callas. 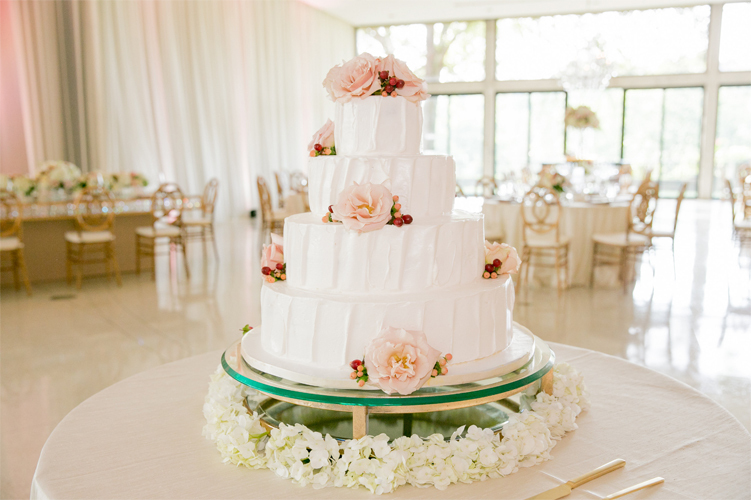 The gorgeous four-tier cake included layers of vanilla bean and devil’s food cake iced with lush vertical waves of buttercream. 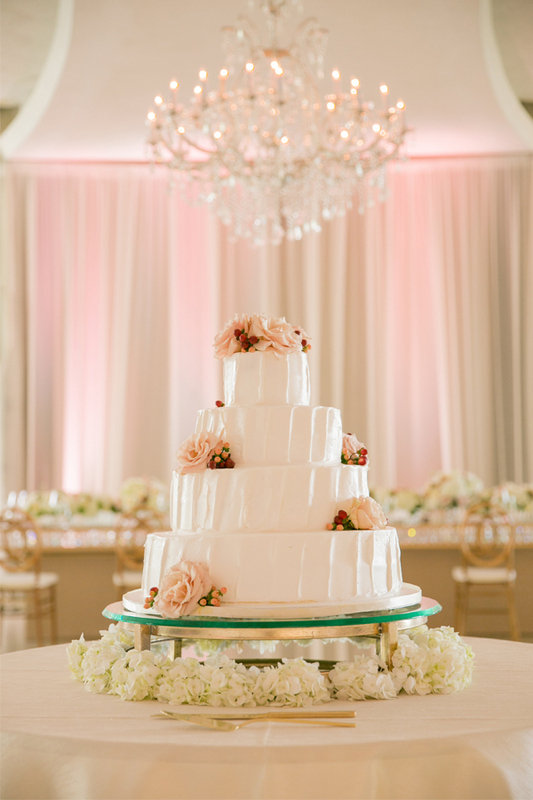 Touches of hypericum berries and blush garden roses accented the relaxed, yet elegant cake design. 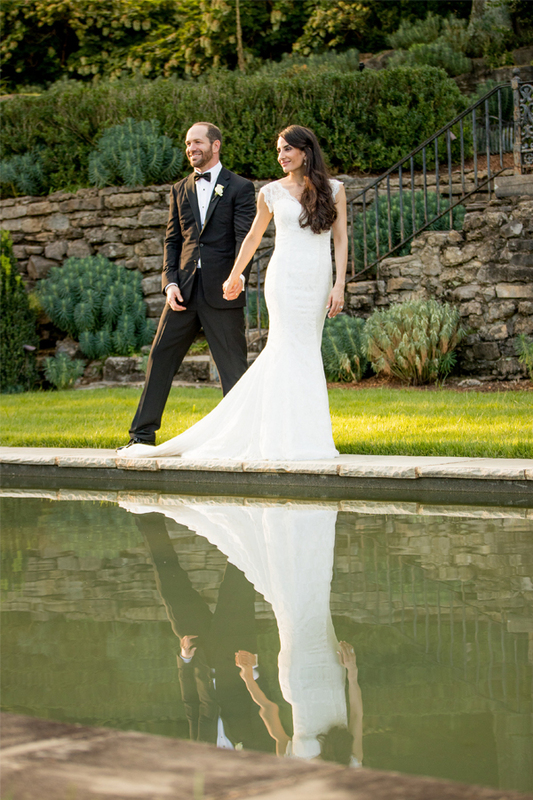 Creative Design | Bruce Pittman Inc. 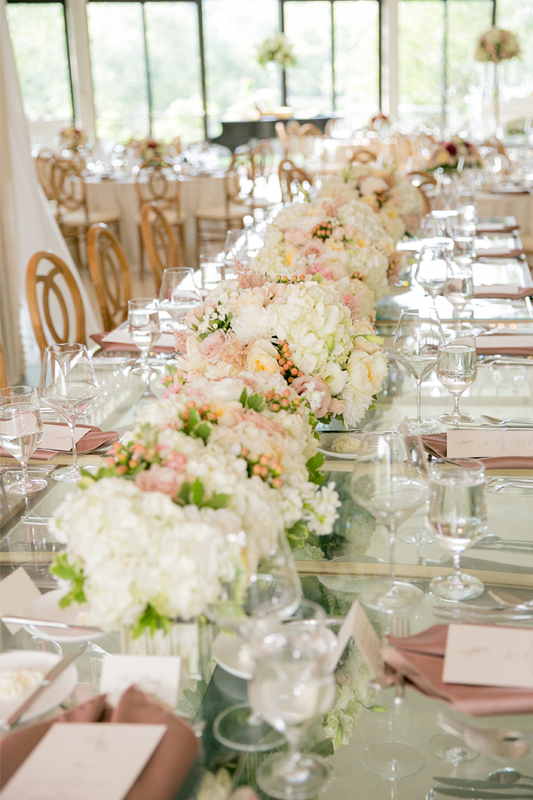 The elegant table details included round tables draped in lush bone Dupiono linens. 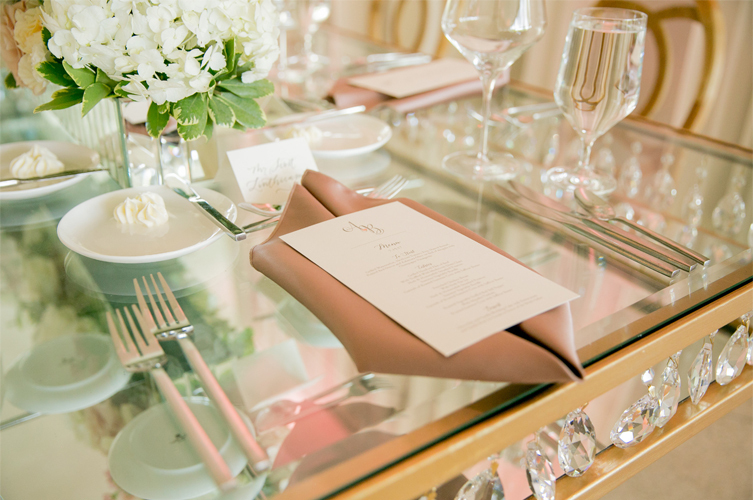 The tabletop china, flatware, and glassware were sleek and elegant for a modern look. 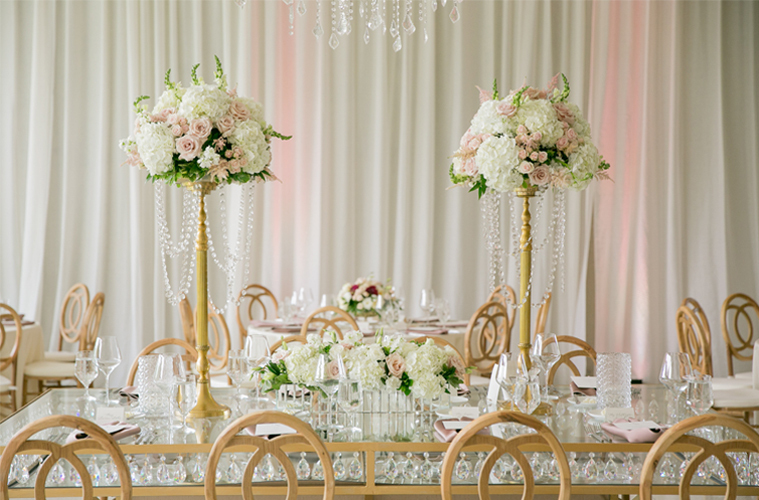 The floral designs created a contrast of low and high arrangements with pops of crimson color among the soft blush and white tones. 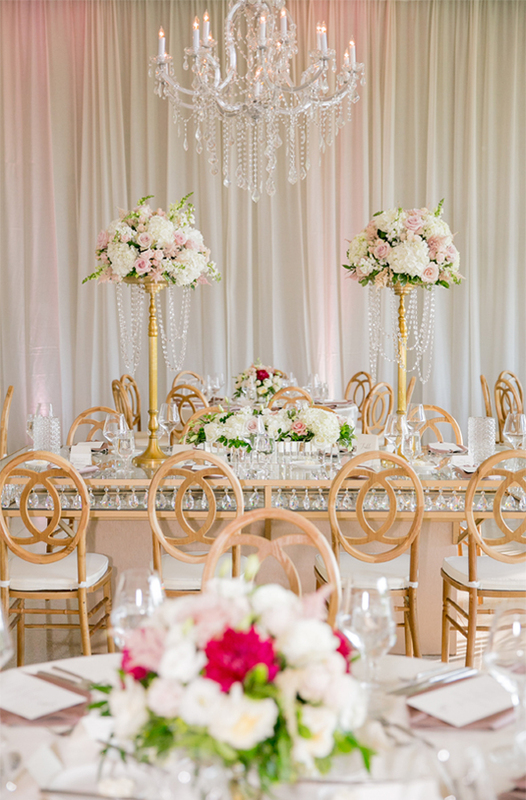 The gold candlesticks included strands of prisms to compliment the crystal chandeliers. 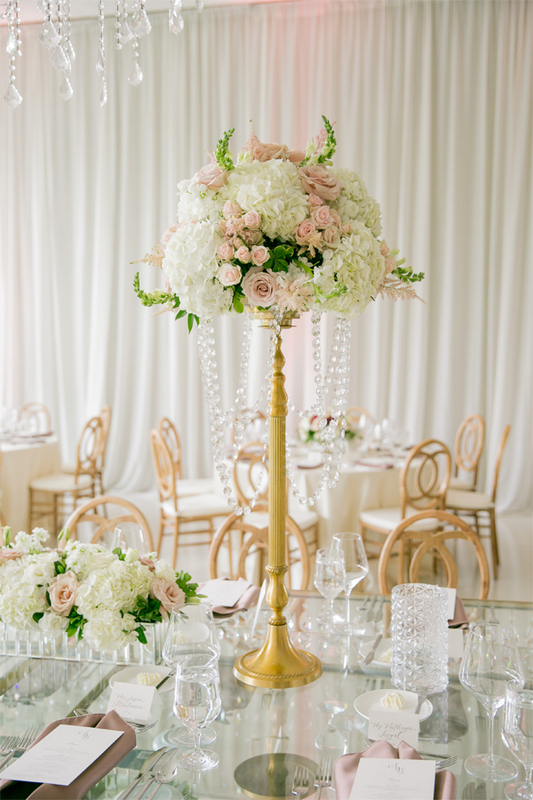 The table details also included unique Latte colored napkins with a touch of rose for an unexpected design element that gorgeously tied everything together. 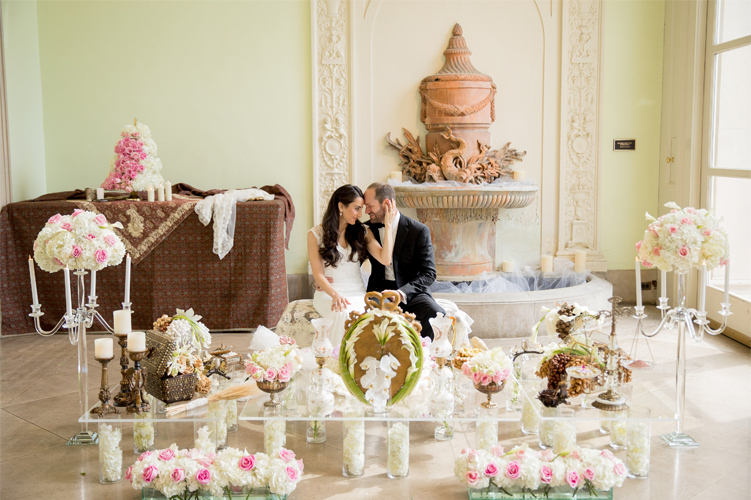 For more on, “Classic Garden Chic,” view our latest issue of Enchanted Brides here! 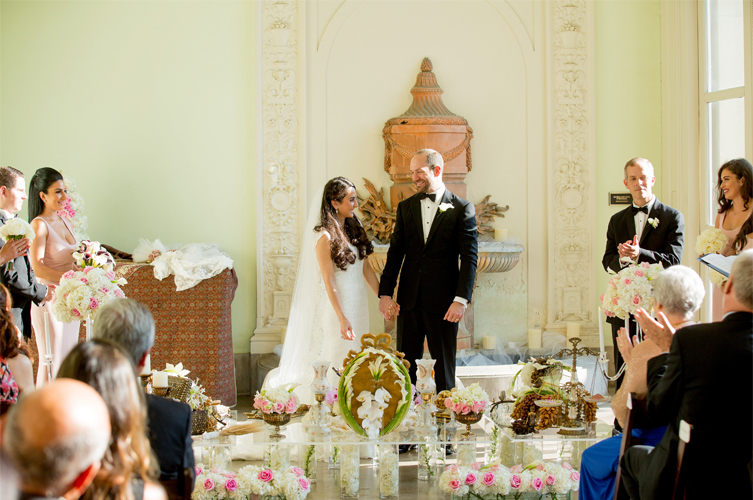 Enchanted Brides Bridal Show January 28th!